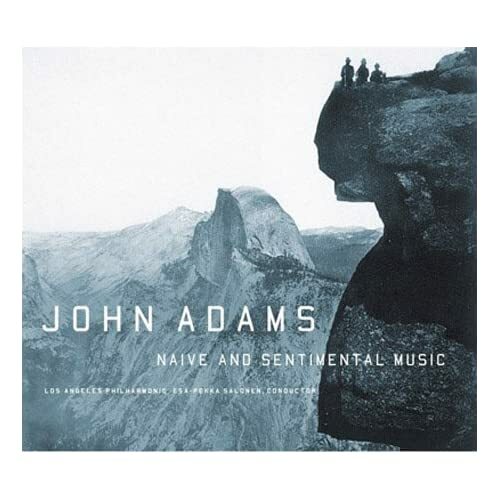 Recordings of the Steve Mackey ensemble piece Measures of Turbulence (with Tanenbaum conducting) and Two Awakenings and a Double Lullaby by Aaron Jay Kernis for guitar, soprano, piano and violin. 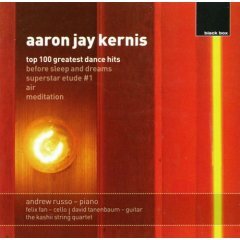 David Tanenbaum’s second recording of Aaron Jay Kernis‘ 100 Greatest Dance Hits for string quartet and guitar was released by the British label BlackBox in England. It is available on Amazon. ..nobody plays this music as well as you do. I think that your extraordinary musicality also makes you find technical answers on the guitar that seem unknown to the average player. I have never heard such a skillful and musically moving performance, and such mastery. The composer and guitarist have since collaborated on many projects, including tours and a recording of the concerto Henze wrote for David Tanenbaum, An Eine Aolsharfe. Most recently they joined forces for a Carnegie Hall production of El Cimarron in 2000. 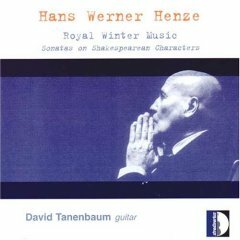 In 2003, just before recording this cd, Mr. Tanenbaum performed Royal Winter Music at a special house concert arranged by Mr. Henze in his villa in Marino, Italy. Some months after he died a guitar trio was found in Lou Harrison’s papers called Elegy for Harpo Marx, composed in 1964. The history of the piece is unclear but the version found was certainly written for guitar. Tanenbaum performed (premiered?) the work at the San Francisco Conservatory November 7, 2004 with Brian Dowdy and Rodrigo Placencia, and they recorded the work Nov. 25 for Mode Records. The cd was nominated for a Grammy in 2003.